WILLEMSTAD - Criminals from the Balkans are active on Curacao. Last weekend, the police arrested three Romanians and two Serbs. This arrest took place at the ATMs at Winston Churchillweg and Gosieweg. The five suspects had a bag full of stolen bank cards and a few thousand dollars in cash. 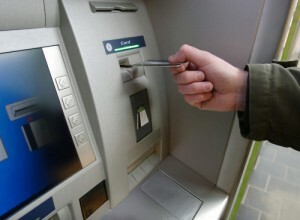 The police ask everyone to pay attention to ATMs and report suspicious cases through their emergency number 917.